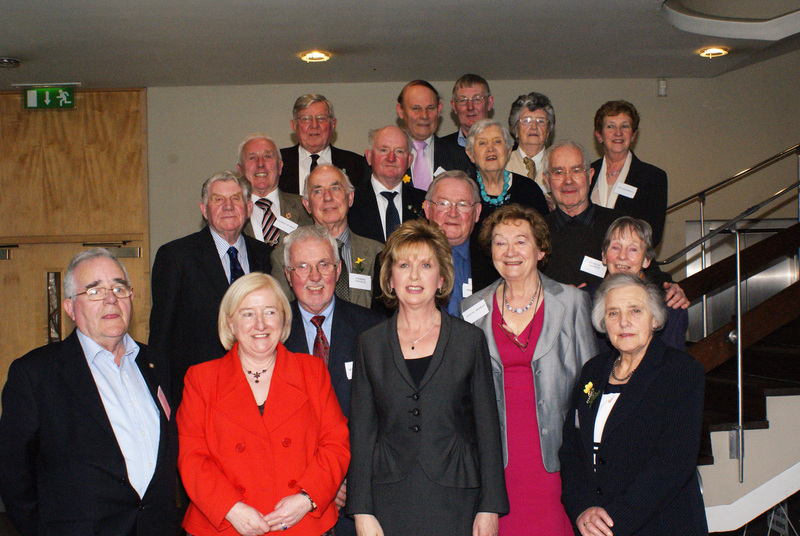 Uachtarán na hÉireann, Mary McAleese thanked the Irish Senior Citizens Parliament for its work at the Annual Parliament Meeting today. 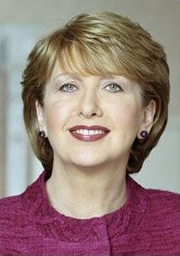 Of Sylvia Meehan, President McAleese said that she “is a classic example of the surging energy and potential of Ireland’s seniors and it was great to see her recognised in 2009 when she was presented with the ‘People of the Year Award’. She said that Ireland’s older People had “faced little else over a lifetime but a struggle against tough and implacable odds. You remember many different Irelands in which lives were constrained and even wasted by poverty, lack of access to education, the drain of emigration, the recurring misery of conflict”. ISCP President Sylvia Meehan urged delegates to the Annual Parliament to continue to lift the barriers of ageism and discrimination. The 14th Annual Parliament of the ISCP continues in the Liberty Hall Theatre & Conference Centre today (Friday 26 March) and tomorrow. The Annual Parliament provides the ISCP’s affiliated member organisations with an opportunity to promote the views of older people, to set policy for the Parliament and to elect officers for the coming year. Among the concerns of Older People issues being discussed at the Annual Parliament will be pensions, medical cards, prescription charges, water charges and the withdrawal of the additional payment at Christmas. 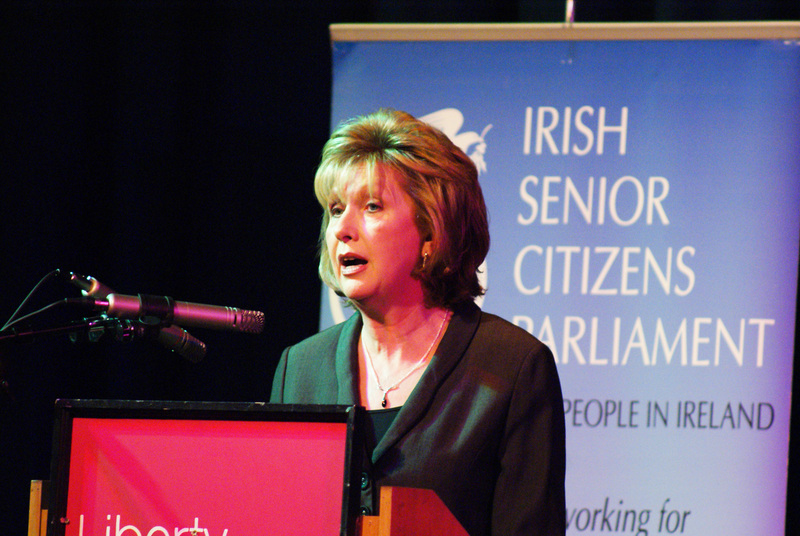 The President of Ireland, Mary McAleese will address the Annual Parliament Meeting of the Irish Senior Citizens Parliament on Friday 26th March at 15.30 pm. The Parliament are delighted that the President has taken time out from her busy schedule to attend at the Parliament Meeting and to address the delegates gathered there to welcome her. The ISCP are only too well aware of the commitment of President McAleese to Older People and are delighted that she will address the meeting. Senior citizens are aware of the position that Ireland faces at this time as a result of the downturn in the economy. They are concerned for themselves and for their children and grandchildren. It is truly a time for intergenerational solidarity something which President McAleese in her Presidency has been keen to encourage and nurture. Delegates from all parts of Ireland will discus the issues which are important to them in their daily lives. Sylvia Meehan a long-time champion of equal rights, President of the Irish Senior Citizens Parliament and a winner of a “Rehab People of the Year” award 2009 will chair the Parliament Meeting. The 14th Annual Parliament of the ISCP will take place in the Liberty Hall Theatre & Conference Centre from 2.00pm on Friday 26 March to 1.00pm Saturday 27 March 2010. The Annual Parliament provides the ISCP’s affiliated member organisations with an opportunity to promote the views of older people, to set policy for the Parliament and to elect officers for the coming year.